Cardinal Seán Brady has urged everyone who believes that the right to life is fundamental to tell legislators that no government is entitled to remove that right from an innocent person. In his Christmas message, the Catholic Archbishop of Armagh and Primate of All Ireland said there is no more important value than upholding the right to life in all circumstances. As the Government prepares legislation giving effect to the X Case judgment, Dr Brady warned that we approach a defining moment regarding Ireland's attitude to respect and care for human life. "I hope that everyone who believes that the right to life is fundamental will make their voice heard in a reasonable, but forthright, way to their representatives," Cardinal Brady said. "No government has the right to remove that right from an innocent person." The Supreme Court ruled in 1992 that abortion was permitted when a woman's life was at risk but successive Governments have avoided legislating for it because it is so divisive. The death in October of Savita Halappanavar, following a miscarriage at University Galway Hospital, re-ignited the abortion debate and prompted large protests by groups both in favour of and against abortion. Cardinal Brady said public representatives will decide whether a caring and compassionate society is defined by providing the best possible care and protection to a woman struggling to cope with an unwanted pregnancy, or by the deliberate destruction of another human life. The cardinal criticised the failure to prioritise the elimination of child poverty in the reform of the tax and welfare system, remarking that in any jurisdiction a failure on such a fundamental rights issue is unworthy of a society which claims to have a paramount concern for children. That comment was a thinly-disguised challenge to the Government to deliver on its commitments in the Children's Referendum campaign. The cardinal, who faced calls this year to resign over accusations he failed to warn parents their children were being sexually abused, said in his Christmas message that he wanted relations with the Government to improve. "My hope is that the year ahead will see the relationship between faith and public life in our country move beyond the sometimes negative, exaggerated caricatures of the past." 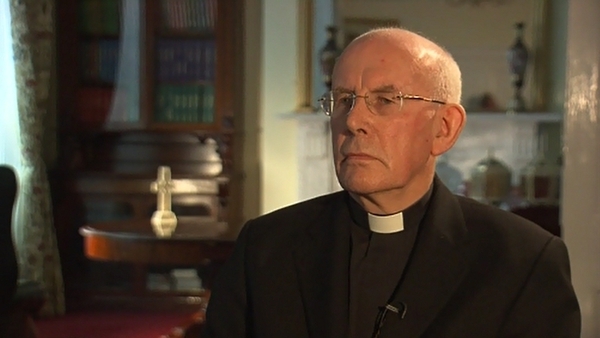 Church of Ireland Archbishop of Dublin Dr Michael Jackson has said that Christmas provides us with small beginnings for a big picture and that from the familiar we need to start looking for the extraordinary. In his Christmas Day sermon, Dr Jackson said to many in Ireland today the familiar is unappealing as austerity digs deeper and with the prospect of a “wide range of embattled positions” lying ahead in the abortion debate. Dr Jackson said in Northern Ireland there is constantly need for communities not to drift apart internally and in their relationships with others. The archbishop warned that the same danger is becoming more acute in parts of the Republic as we approach the centennial commemorations of the 1916 Rising. Dr Jackson said all of this may seem far from the Christmas story, but it is our calling to embrace the familiar in the name of Jesus Christ and to do likewise in the service and the leadership we give to others.